A Young American Woman Discovers the Life and Legacy of Her Korean Grandmother. In order to really understand who we are and where we came from, many people look to the past for answers. 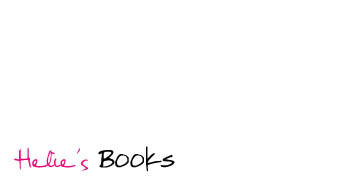 In this “compelling” memoir (Kirkus Reviews), Helie Lee does just that. Driven to discover her own true identity and recover her family’s history, she explores the past of a woman very close to her – her Korean grandmother Hongyong Baek. 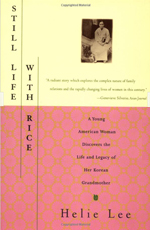 In STILL LIFE WITH RICE: A Young American Woman Discovers the Life and Legacy of Her Korean Grandmother (Scribner; March 4, 1996; $24.00), Lee illuminates that foreign yet intimate terrain navigated by today’s Asian-American women. Writing in her grandmother’s voice, Lee re-creates a culture that is both seductively exotic and strangely familiar. Born in 1912 to aristocratic parents, Hongyong, like her two sisters and one brother, was supposed to follow a certain direction in life. Raised with the notion that a woman’s role is to serve and never take, she and her sisters were to be obedient daughters, demure wives, and efficient keepers of the house. Yet, the pressure to be a positive role model fell on Hongyong as her youngest sister led a rebellious life and the middle sister was a cripple. Having been sold into marriage by her parents, Hongyong set off for the life she was to lead – that of a dutiful wife who produced bountiful children. 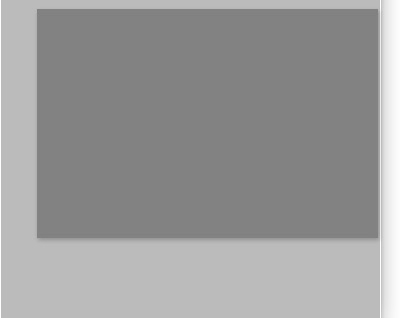 During the first Japanese invasion into Korea, Hongyong’s life turned around. Panic-stricken, she escaped with her husband and children and moved to China in search of peace. There, Hongyong chose to explore the unknown. She became a successful entrepreneur in the restaurant business and partook in the world of opium smuggling. Later she opened her mind to Christianity and became adept at the healing art of Chiryo. Unfortunately, as the war took away the life of her son and she lost her husband to diphtheria, Hongyong decided to escape once again and, in 1972, fled to downtown Los Angeles where she reestablished her Chiryo practice. STILL LIFE WITH RICE is a radiant story which explores issues that touch all of us: the complex nature of family relations, the impact of cultural and social upheaval on an individual, and the rapidly changing lives of women in this century.